Val d’Ayas, Gressoney Valley and Champorcher Valley in the Aosta Valley and Valsesia in Piedmont….. four valleys united by one common denominator: Her majesty the Monte Rosa Massif. In the summer, Monterosa offers its guests all the sights of its mountains. Let yourself be surprised by how the glacier changes from four different angles: three from the lower valleys and one from further away. Once you go up you can’t but be dumbfounded when faced with the scintillating spectacle of the ice and snow which for years have remained encased between the rocks like precious gems….a breathtaking sensation! 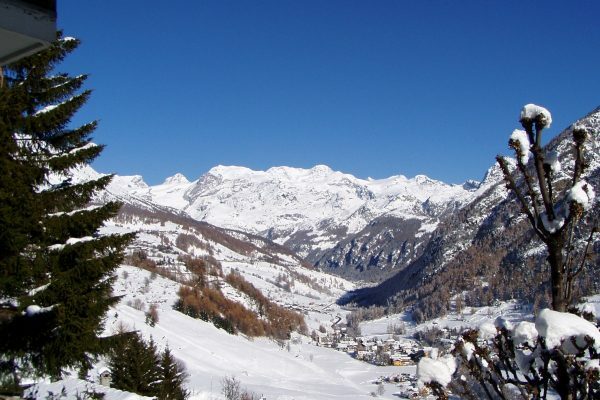 The ties between Ayas, Gressoney and Alagna, the discovery of the culture of the Walser population, the villages with their characteristic architecture and the uncontaminated places where there is still nature to charm visitors. Champorcher, the small pearl nestled in the heart of the Mont Avic Nature Park instead offers places to dream of from its splendid and numerous small alpine lakes with crystalline water, green fields that host a myriad of flowers, centuries old woods and imposing summits. Finally, there is no lack of mountain activities from classic mountain activities and new relaxation trends to fine dining. To sum up, a holiday which your will always remember from the moment you return home!